This module allows you to collect specific browser information about your users. This is a very helpful developer tool if you detect a pattern where customers have order issues with specific browsers, viewports or screensizes. Do you sometimes see issues with you customer orders? 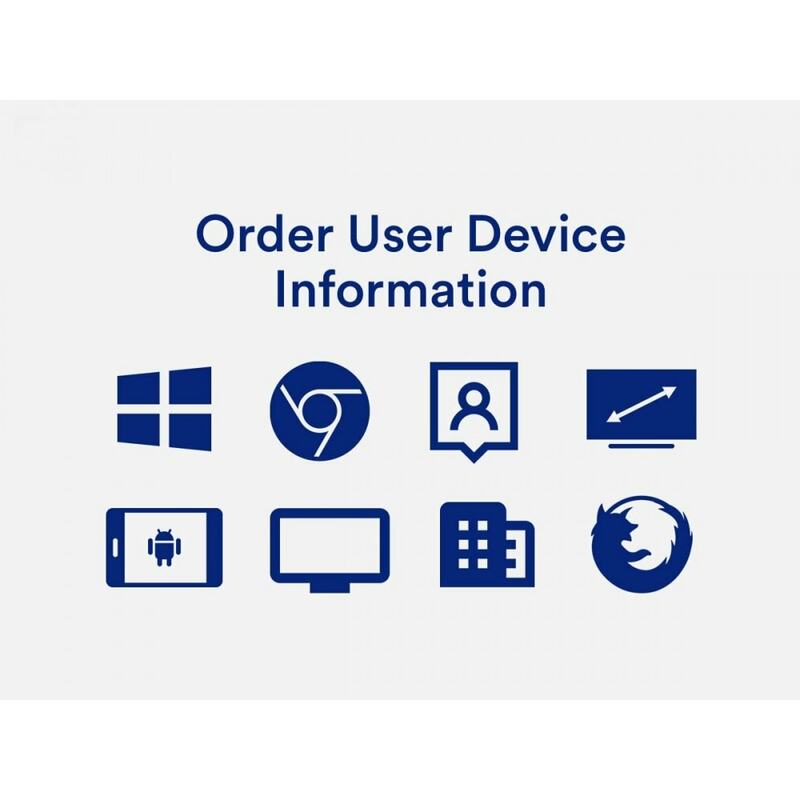 Well, it could be their browser, their OS system or their device - find out everything with this module, and see viewport, device type, browser version and much more information from your customer orders. 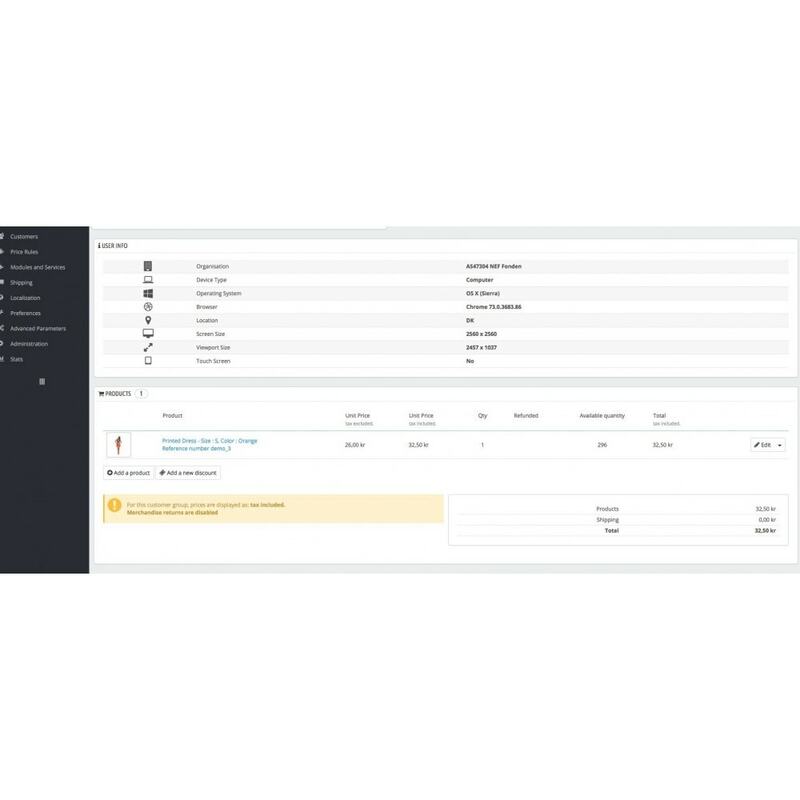 This tool is a great tool for developers, if a customer is experiencing issues with the order process (the most important part of the site). This tool will be good to see a pattern if multiple customers are experiencing issues with the order. The module can also be useful for a merchant that wants to see which devices the users are using or such. The module will appear on the orderpage of each order. After installing the module, you can do a testorder to see the information on the orderpage, or simply wait for the next order. Operating system: Operation system of user such as Mac OSX, Windows, Linux etc. Browser: Name and version of browser, chrome, firefox, opera etc. 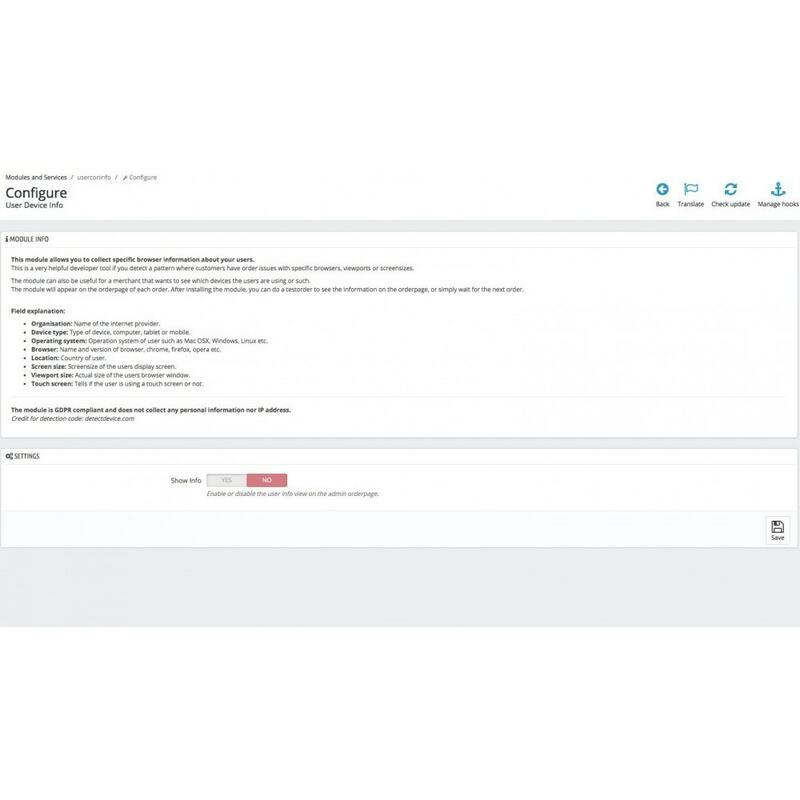 The module is GDPR compliant and does not collect any personal information nor IP address. Simply install the module and enable the view. The view will be visible on each order.